Anyone shopping for a top-end smartphone will agree that pricing is moving in the wrong direction. It’s now pretty common to see flagship handsets for around £1000, a considerable amount money for a device that spends a lot of its time in your pocket, sat on a table in Starbucks, or falling in slow motion towards the pavement. Apple, Samsung, Google Pixel and even Huawei phones are all much more expensive today than they have ever been and while there are more affordable devices from the likes of OnePlus, their low price often means that demand outstrips supply. This is where Chinese phone maker Elephone believes it can make its mark. The Shenzhen based electronics company has been in the phone game since 2006, but it’s 2018 that has seen the brand mature and begin working with trusted partners Samsung and Qualcomm. Samsung Galaxy S9 looks without the high price tag! For its first official foray into the UK market, Elephone is offering its flagship U Pro Android smartphone through Amazon.co.uk. The phone is the first from the brand to use a Snapdragon processor from Qualcomm, the same supplier as the majority of high-end phone makers, and also gets dual Samsung cameras on the rear. It even sports a curved 5.99in AMOLED display similar to the costlier Samsung Galaxy S9. A curved AMOLED display is unheard of at this price. It’s not just these headline features that are impressive though. The UPro gets 6GB of RAM, 128GB internal memory, a fingerprint scanner in addition to face recognition security features, Android 8.0, and even fast charging for the 3550mAh battery. Clumsy smartphone users might worry about that curved glass body, but for added protection, Elephone has used Gorilla Glass 5 to keep this top phone look great for longer. Screen: 18:9 5.99in 2160 x 1080 curved AMOLED display. 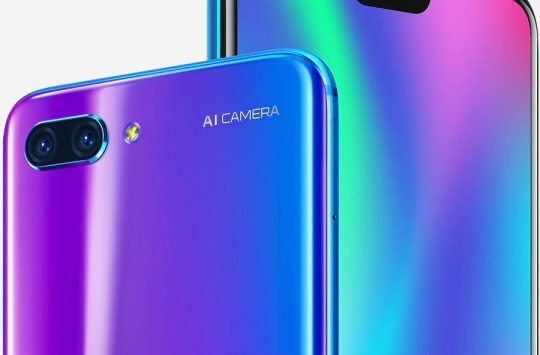 It’s an impressive looking and attractive smartphone that has already received good reviews with Forbes what’s more, it costs over £300 less than a Samsung Galaxy S9 off contract. Elephone has started to list the U Pro on Amazon.co.uk, but sales of the phone won’t begin until Monday 23rd April. The cost of the handset is £419.99 for the 6GB RAM model and that even includes a protective case.